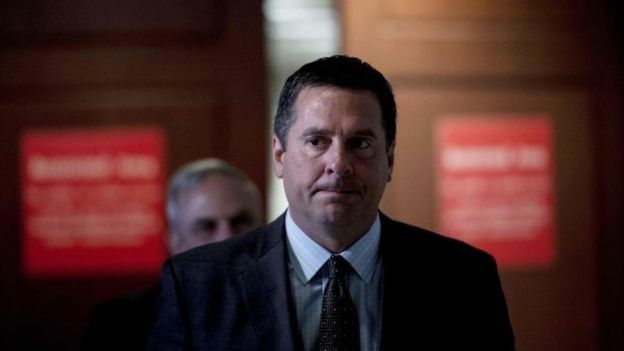 The top Democrat on the US House Intelligence Committee has accused Republicans of tampering with a memo about FBI spying at the 2016 election. Adam Schiff said Republicans had changed the text after it was voted on. The secret document was passed by the Republican-dominated committee but needs approval from President Donald Trump to be made public. It is believed to accuse the FBI of abusing its surveillance powers to target the Trump campaign. Concerns about its contents were raised by the FBI itself which complained of “material omissions of fact that fundamentally impact the memo’s accuracy”. Democrats fear the document may be an attempt to discredit the inquiry into Trump campaign links to Russia, which is being led by Special Counsel Robert Mueller. If Mr Trump gives his approval, the memo may be released later on Thursday. What do we know about the memo’s contents? The four-page document was compiled by staffers for House Intelligence Committee head Devin Nunes, a member of Mr Trump’s Republican party. It apparently accuses the Department of Justice (DoJ) and the FBI (Federal Bureau of Investigation) of abusing a programme known as the Foreign Intelligence Surveillance Act (Fisa) during the presidential election campaign. 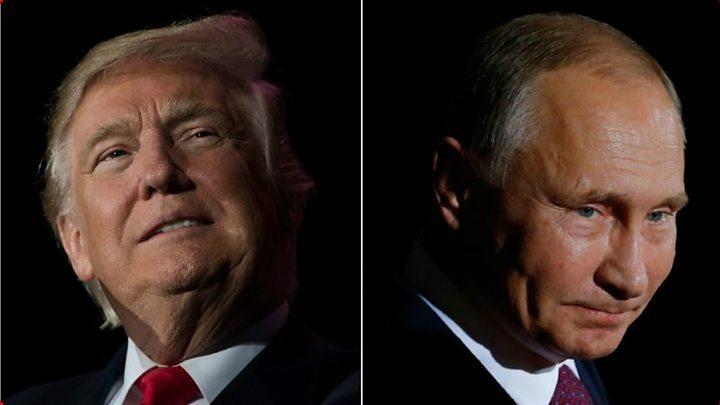 The allegation is that the FBI spied on a member of Mr Trump’s campaign on the basis of unproven accusations against Mr Trump known as the “Russian dossier”. That dossier was compiled by former UK intelligence agent Christopher Steele with money financed in part from Hillary Clinton’s campaign. Following his State of the Union speech on Tuesday night, Mr Trump was heard telling a Republican lawmaker he was “100%” for releasing the document. Were the changes to the memo significant? According to Mr Schiff, the text approved by the committee on Monday is not the same as that given to the White House. Mr Nunes sent a version of the memo that was “materially altered”, the Democrat said. He gave no details. Quoted by Reuters news agency, a spokesman for Mr Nunes described the changes to the memo as minor, including two edits requested by the FBI and Democrats themselves. Mr Schiff’s allegation was, the spokesman added, an “increasingly strange attempt to thwart publication”. What does the FBI say? In a rare statement, the agency said it had had “limited opportunity” to review the document before the committee voted to release it on Monday. “We are committed to working with the appropriate oversight entities to ensure the continuing integrity of the Fisa process,” it added. The DoJ has said it would be “extraordinarily reckless” to release the memo. How are relations between Mr Trump and the FBI? Trump officials say the memo proves his allegation that he has been treated unfairly by the FBI. Devin Nunes, who served on the Trump team during his White House transition, said it was “no surprise” the FBI had objected to the memo’s release. “It’s no surprise to see the FBI and DoJ issue spurious objections to allowing the American people to see information related to surveillance abuses at these agencies,” he said. After firing FBI director James Comey last year, Mr Trump reportedly asked his temporary replacement, Andrew McCabe, how he had voted in the 2016 presidential election. Mr McCabe resigned last month as Mr Trump accused him of pro-Democratic bias. He had been planning to retire in March. In December, Mr Trump reportedly challenged Deputy Attorney General Rod Rosenstein, who appointed Mr Mueller, over his loyalties. He wanted to know whether Mr Rosenstein was “on my team”, CNN reports. Mr Schiff suggested the White House would use the memo, if released, to fire Mr Mueller or Mr Rosenstein. Dianne Feinstein, a Democrat on the Senate Intelligence committee, said the Republicans were clearly trying to “undermine the special counsel’s investigation”.